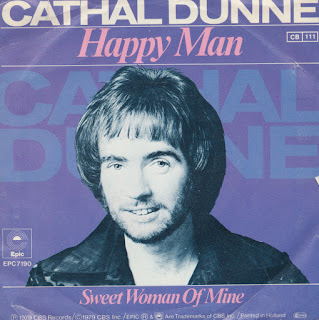 A year before Johnny Logan won the Eurovision Song Contest for Ireland, the country was represented by Cathal Dunne, a singer who'd started his career in the mid-1970's. 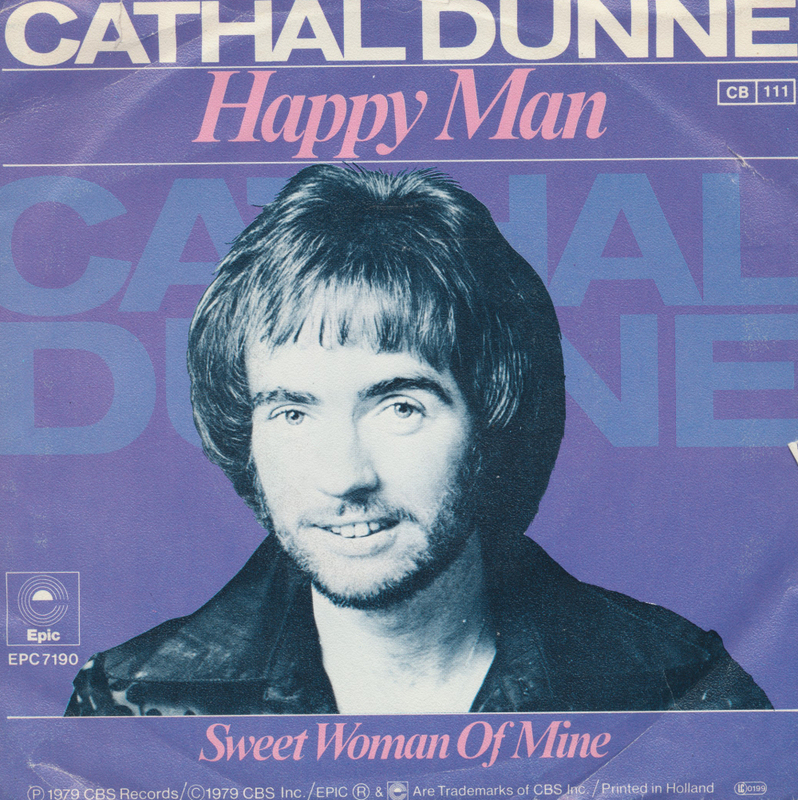 'Happy man' was written and composed by himself, and it was a relatively successful entry, finishing fifth in a field of 19 competitors. Apparently, this single was released on green vinyl in Ireland, but this is the rather more dull version pressed in Holland on black vinyl.